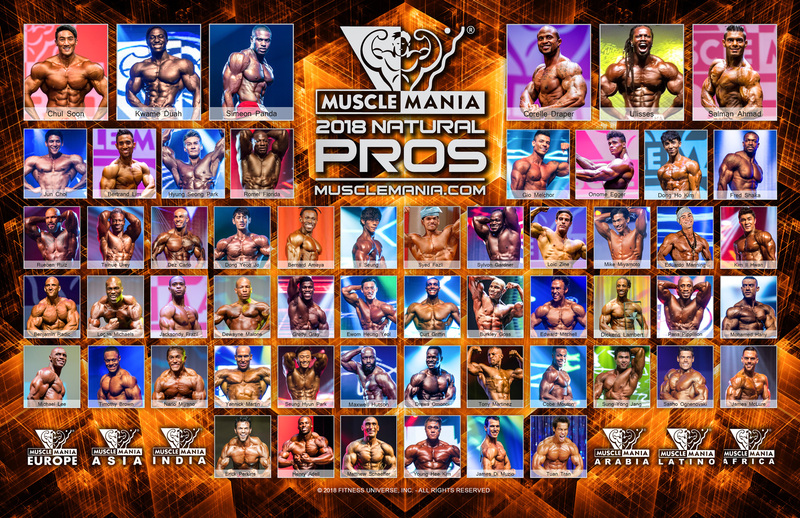 Beginning this season, the new Musclemania® Physique Division joins the Musclemania® World Tour. This new division is for men who want to display their upper bodies in a classic, symmetry, beach body form. Competitors wear tradition knee high board shorts while presenting themselves on stage in both individual walk and class line-ups. They will be judged based equally upon their Physical Upper Body Symmetry, Size, Muscle Condition and Presentation. The will be two height divisions determined after check-in at the show. *This division may be further divided into either a height or weigh class after the Official Registration and final numbers are known. Any natural athlete is welcome to compete in Musclemania® events regardless of competitive experience. Beginners, novices or veterans can compete in any regional, national and/or international events. But only Beginners and Novices can compete in designated shows. Veteran competitors may compete regardless of past or current bodybuilding federation affiliations. Contestants will walk individually to the center of the stage in bare feet, do two half turns, posture and pose and then walk off to the opposite side of the stage. Then, all competitors in each class will return as a group for quarter turns and comparisons as requested by the judges. Stage presence is an essential part of the judging consideration. Competitor body condition should be lean and muscular but not striated and dehydrated. Board shorts should be standard knee high, loose fitting style as available in any men’s clothing store. Designs must be standard as for sale but without large, sponsor logos added. All contestants will be equally and fairly judged within their division and classes. This will include (1) an individual 'T' or Spotlight Walk on stage and (2) in group line-up for quarter turns and mandatory & freestyle posing. Judges will be looking for fit contestants who display proper shape and symmetry combined with muscularity and overall condition. This is not a bodybuilding contest so extreme muscularity should be marked down. Contestants must wear a board short with the length no lower than 2" above the knees. Any patterns, colors and styles are acceptable but no commercial branding or advertising can be displayed. Competitors must bring their shorts to the event check-in for inspection.